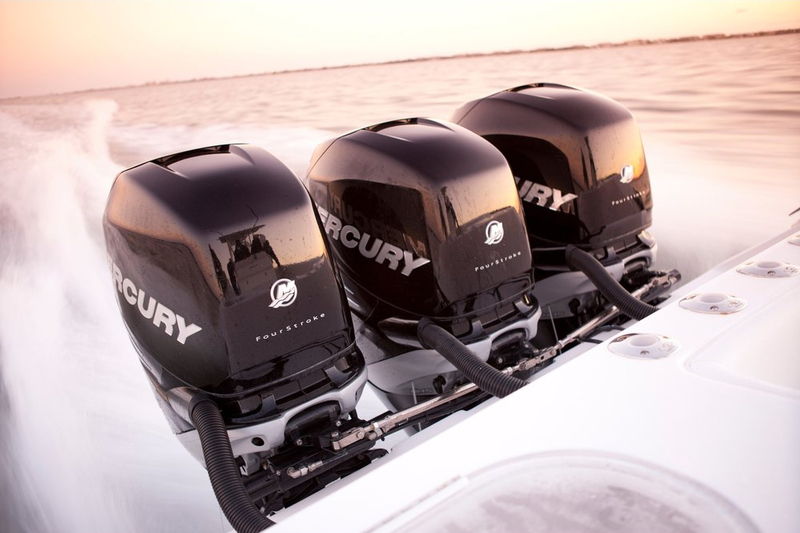 Mercury bolsters Verado outboard line—Yamaha to reveal new V-8 monster-motor. Mercury applied similar changes — a more aggressive intake cam and revised spark and fuel programs — to boost the 2.6-liter Verado from 275 to 300 hp. 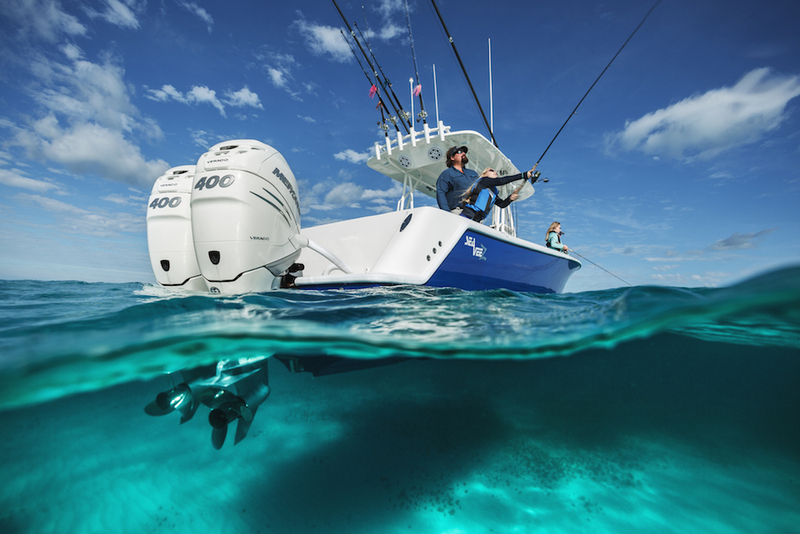 MIAMI—Mercury Marine announced today at the Miami International Boat Show it will soon offer two new Verado four-stroke outboard motors. The first, the Verado 300, is an expected addition to the Verado line that allows Mercury (www.mercmarine.com) to keep pace with the Suzuki DF300 and Yamaha HPDI 300 in the outboard horsepower war. The new Verado 200 is a bit of a surprise, as it's based on the four-cylinder Verado platform and will be the only outboard in the 200-hp category — two-stroke or four-stroke — with less than six cylinders. Both motors will be available in late summer, according to Mercury. Meanwhile, Yamaha (www.yamaha-motor.com) is keeping a tight lid on the details of its new V8 outboard, which is scheduled to debut at Miami on Feb. 15. The motor will be for display only. Check in here next week for the full story and images of what we expect to be the most powerful production outboard ever produced. Mercury has created the new L4 Verado 200 by turning up the wick on the 1.7-liter powerhead that's also used for the 135, 150 and 175-hp Verado models. Mercury has created the new L4 Verado 200 by turning up the wick on the 1.7-liter powerhead that's also used for the 135, 150 and 175-hp Verado models. Because these motors are all supercharged, you might guess that getting more power was as easy as simply cranking up the boost. But Merc says increasing boost pressure would require upgrades to cylinder head gaskets and other engine components to maintain reliability. So the power gain was realized through a recalibration of the fuel-injection and spark timing, and from a new camshaft profile with more duration on the intake valves. So rather than increase cylinder pressure, Merc has increased the duration of peak cylinder pressure. Imagine combustion pressure pushing longer on the power stroke, rather than harder. Radical cam timing used to mean an engine would have a "lumpy" idle, but with modern electronic engine controls, the new Merc idles as smoothly as any other Verado, which is to say it's very smooth. 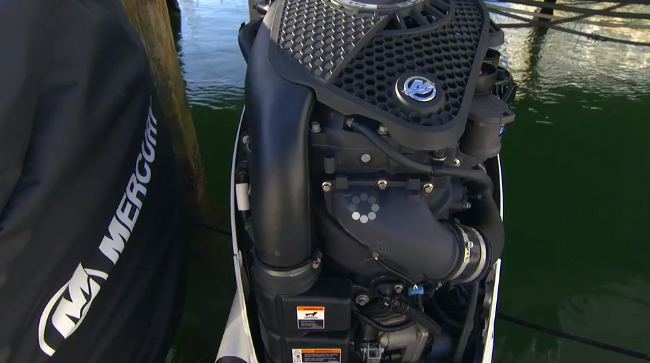 On a normally-aspirated engine, a cam like this would also sacrifice some power on the bottom end, which is why Honda and Suzuki utilize variable valve timing on some outboards, in effect letting the engine chose between two cam profiles for the best overall performance. 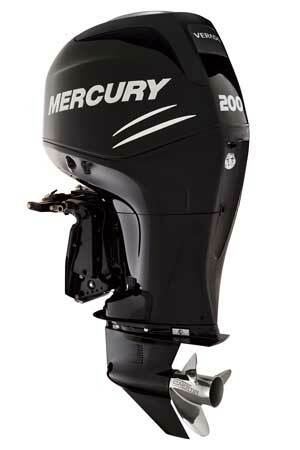 Mercury has that supercharger under the cowl, however, to feed a steady supply of positive pressure to the cylinders. As a result, there seems to be no loss of bottom-end performance on the Verado 200. With this tuning, all of the power gain is on the top end. The goal, according to Merc engineers I spoke with, was to produce top-speed performance comparable to other 200-hp outboards. They also confirm my assumption that the 1.7-liter L4 Verado 200 will not be as strong on the bottom end as the 2.6-liter six-cylinder Verado 200 (which stays in production), simply because it has less displacement. The key performance advantage of the L4 200 will be its lighter weight. At 510 pounds with a 20-inch shaft, the L4 Verado 200 will be the lightest four-stroke 200 on the market, about 70 pounds lighter than a Suzuki DF200 or Yamaha F200, and 108 pounds lighter than the L6 Verado 200. There are lighter two-stroke alternatives. 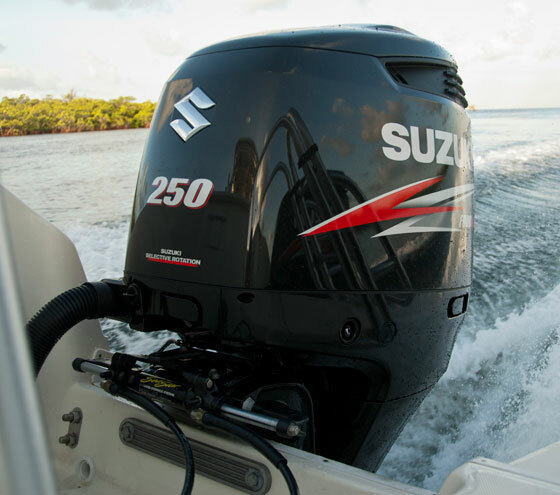 At just 419 pounds, the Evinrude E-TEC 200 is the lightest 200 available. If you'd prefer a four-stroke, the L4 Verado 200 will be a good choice for smaller, lighter craft like aluminum freshwater fishing boats. 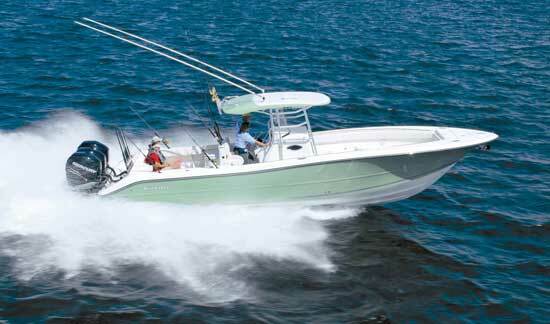 The L4 is also a more-compact package than a V6 or the L6 Verado, which will make it easier to fish around. The L4 Verado 200 must be used with the SmartCraft DTS digital control, but that's a good thing. You simply have to experience the smooth precision of "drive-by-wire" throttle and shift on the water to appreciate this technology. I don't know a boater with a digital control who would go back to cable controls. 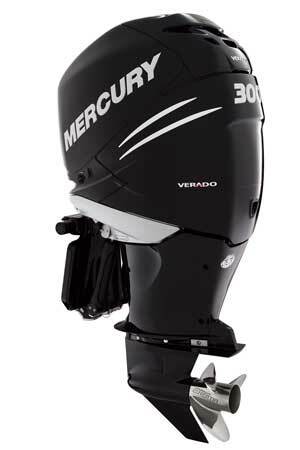 The Verado is also compatible with the full array of Mercury SmartCraft digital instruments and information centers. Power steering, which is standard on the L6 Verado models, is an option on the L4 motors. 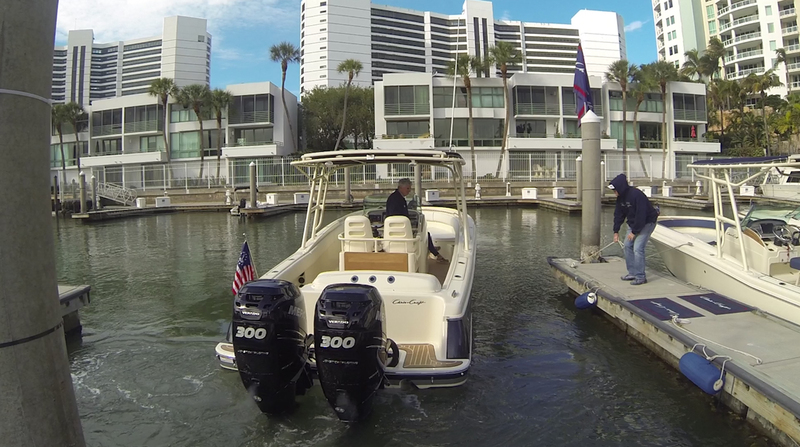 I got to sample the new Verado 200 on a recent visit to the Mercury Marine Testing Facility near Panama Beach, Fla., where examples in the "design validation" stage are in the first month of five months of endurance testing. A 31-foot test boat rigged with twin Verado 200s ran about 60 mph at 6000 rpm. Because these motors are test engines, we didn't measure fuel use or gather other performance data, but I can report that these little Verados put this boat on plane smartly and retained the trademark mid-range "punch" we've come to appreciate from any supercharged Verado. This motor is happy on a diet of 87-octane fuel, and comes with a three-year warranty. Mercury applied similar changes — a more aggressive intake cam and revised spark and fuel programs — to boost the 2.6-liter Verado from 275 to 300 hp. The result is more top-end power with the strong bottom provided by the supercharger boost. A new 1.75:1 gear ratio is a little taller than the 1.85:1 ratio used in other L6 Verado models, for a better match with available propellers. At 649 pounds with a 25-inch shaft, the Verado is about 45 pounds heavier than the 4.0-liter Suzuki DF300, which is also designed for a digital control. 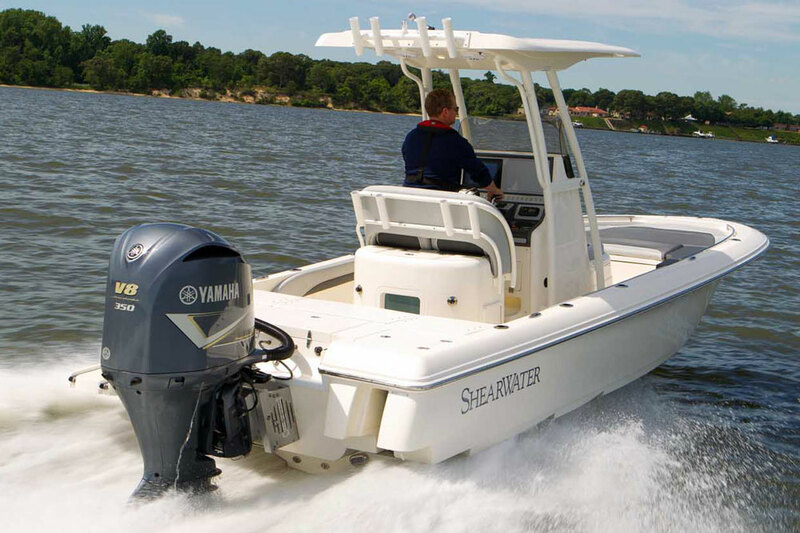 The Verado 300 will be offered with a 20-inch shaft, perfect for those really big, really fast bass boats. Pricing information on the new Verado models is not available. Editor's Note: Charles Plueddeman is the editor at large for Boating, the nation's largest boating magazine.